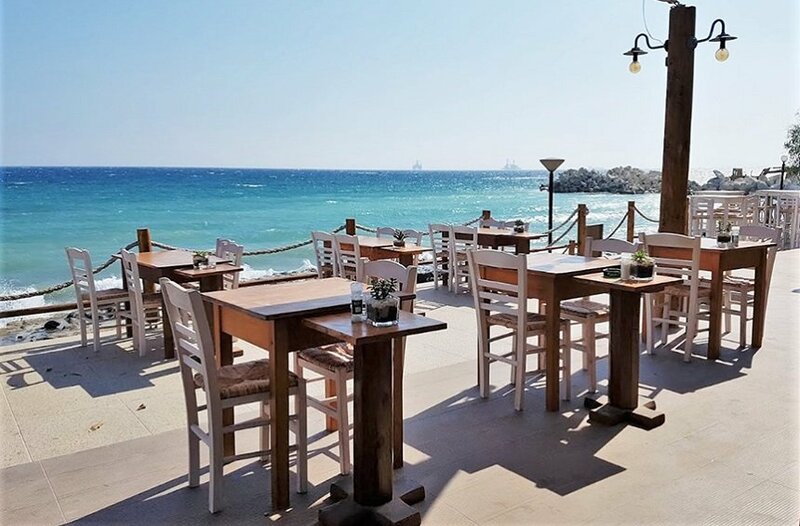 Fish and seafood are a true delight enjoyed by many, and in Limassol this constitutes a reason for short trips and excursions, though the options within the city are also plenty. 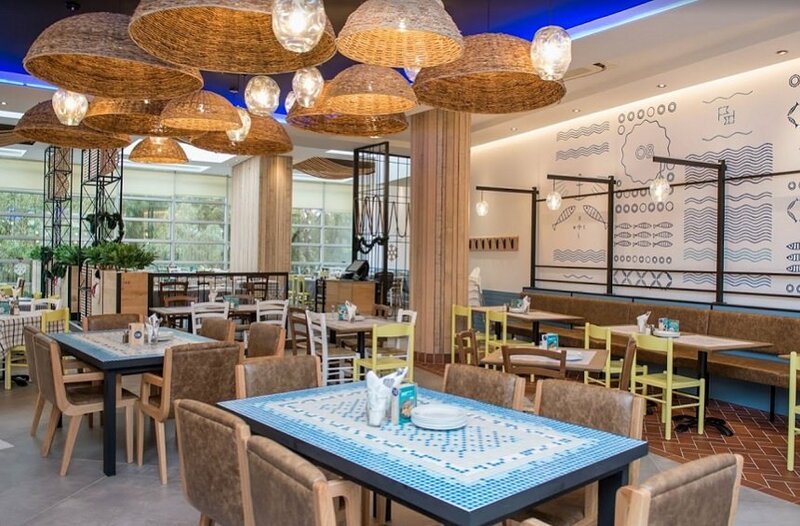 So gather up your family and friends and get ready for delicious fish meze and seafood dishes at special locations by the sea and beyond. 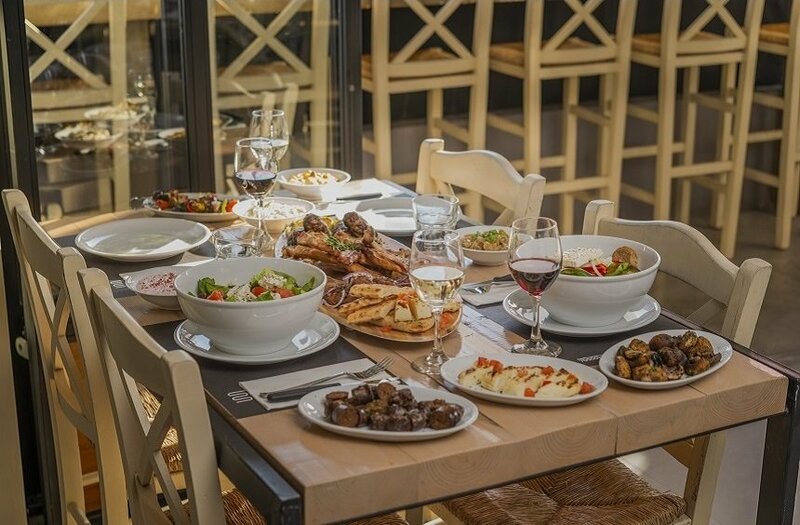 From one end of Limassol to the other, beautiful taverns and restaurants prepare their dishes daily, offering flavors, images and aromas that make up the ultimate Mediterranean experience. 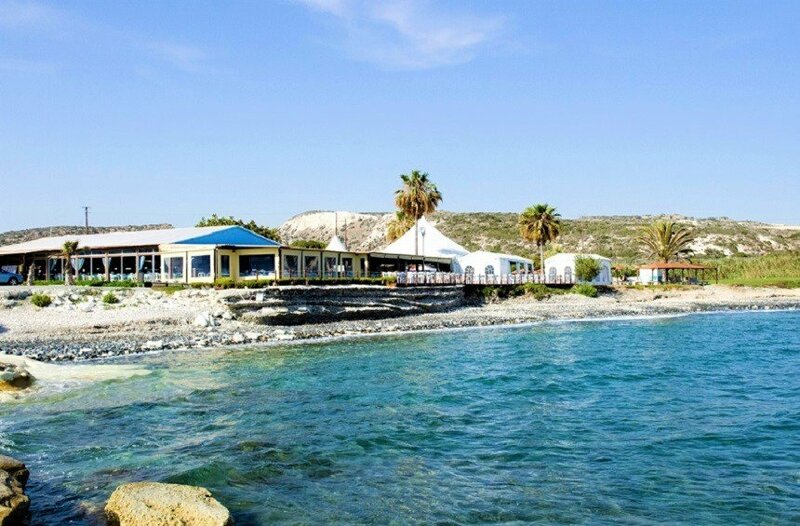 Akti Sofroniou is located at Governor's Beach, in an idyllic location by the sea, featuring a garden and grassy area. 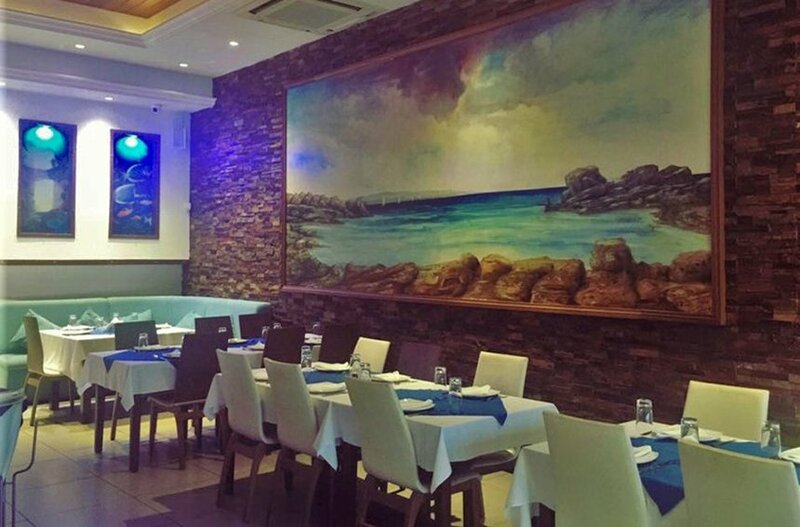 The venue welcomes you in a Mediterranean setting that is sure to satisfy your expectations with delicious fish meze and à la carte dishes. 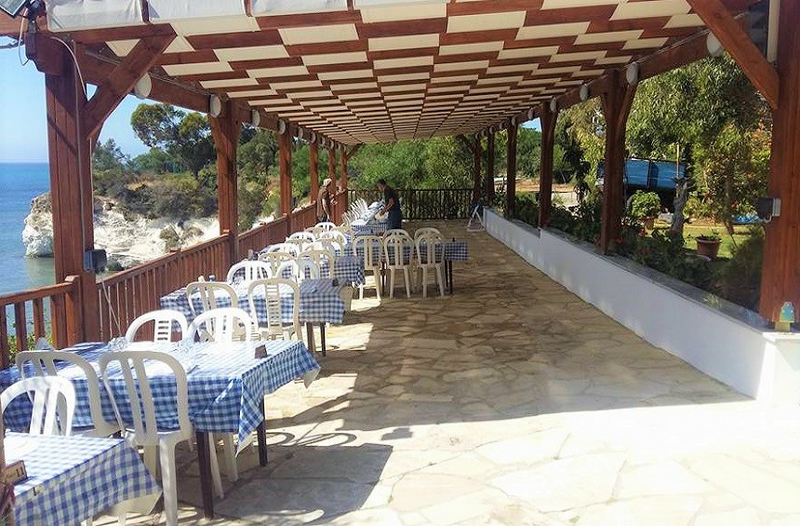 One of the most well-known fish taverns, a few minutes away from the city, Agios Georgios Alamanou is located next to the beach and the popular, white rocks of the area, with an unobstructed view of the sea. With a big outdoor and indoor space, it offers fish platters, pasta and seafood for a complete taste experience. 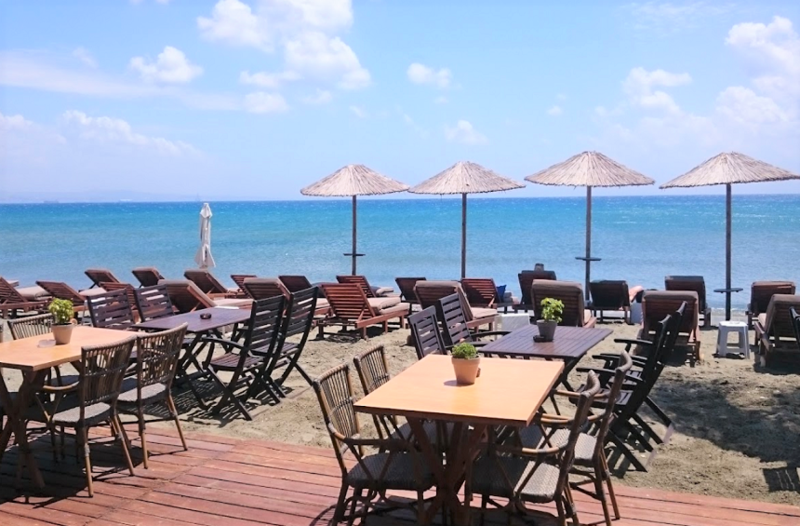 Melanda tavern, just 15 minutes from the city, is located at Avdimou Bay, and boasts magnificent views of the deep blue waters of the Mediterranean. 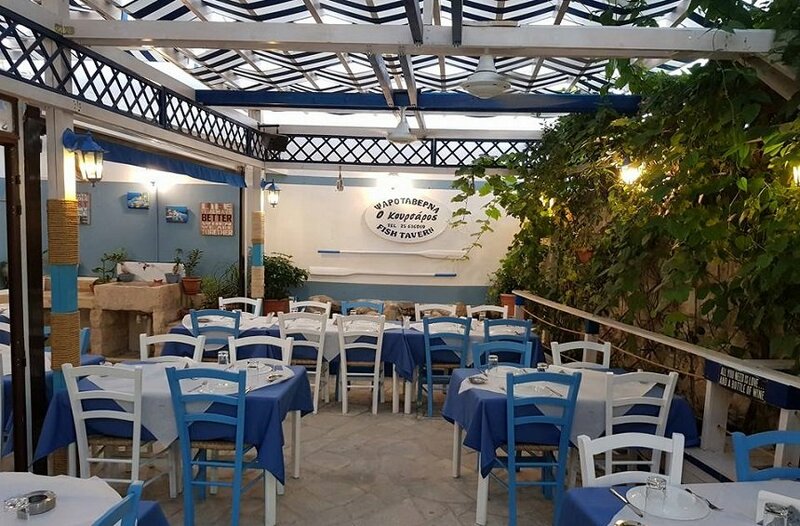 Combine your visit with a wonderful excursion around the area and, upon arrival at the tavern, enjoy fresh fish, seafood and dishes from the Mediterranean cuisine. Yialos Tavern has been preparing fish and seafood for years. 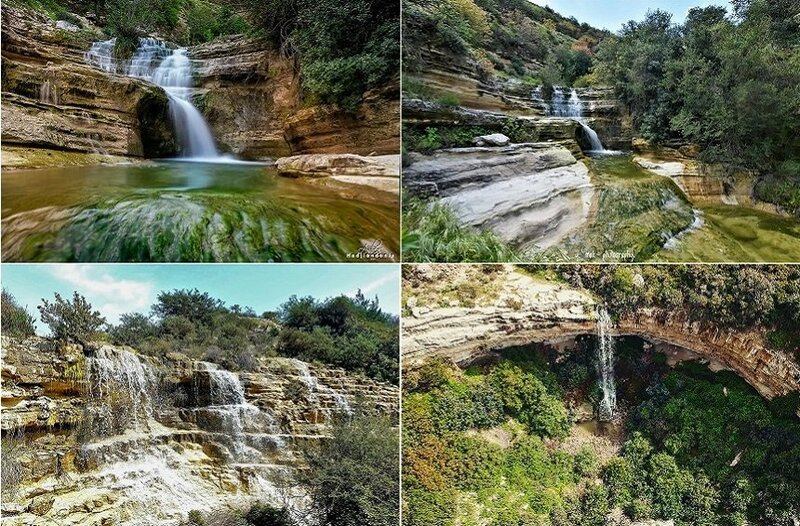 It is located at Pissouri Bay, and combines delicious flavours with an impressive natural landscape. In addition to seafood, its menu offers plenty of other Mediterranean dishes as well. 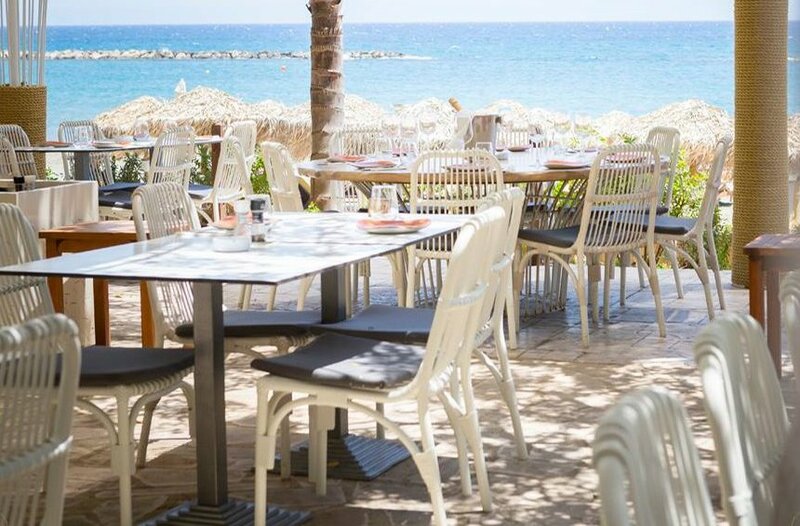 Delicious seafood dishes are what is on offer at Faros Restaurant, which is situated on one of the most beautiful beaches in Limassol. 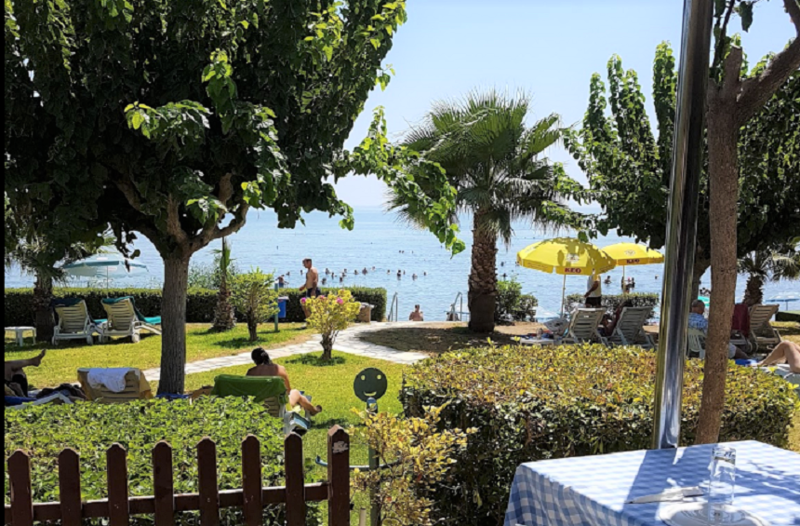 Just a few meters from the sea, with a big outdoor area featuring garden and grass, it’s a great choice for tasty pleasures for the whole family. 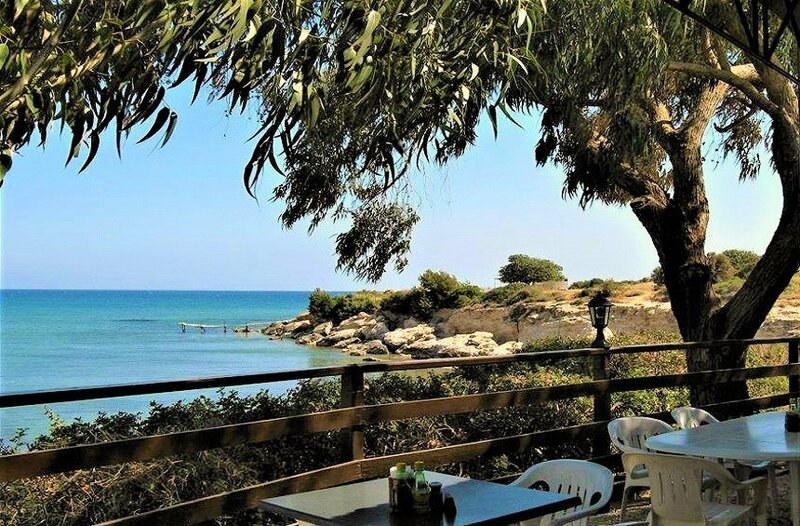 At Panayiotis Governor’s Beach, you will enjoy your fish with an unobstructed view of the sea at this beautiful location on Governor's Beach. 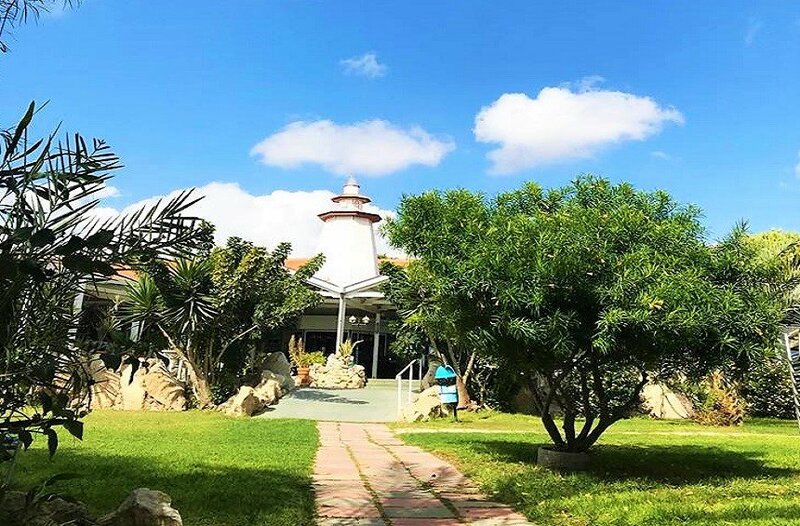 The restaurant is located on a small hill above the beach, and besides seafood, you will also enjoy the amazing natural landscape and the white rocks of the area. 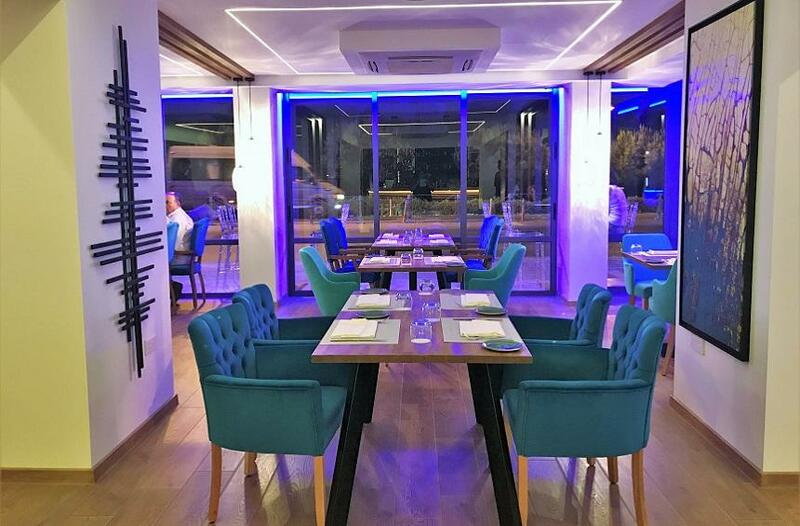 Overlooking the impressive anchorage of the Limassol Marina, this restaurant has become one of the most prestigious destinations for lovers of fish and seafood dishes. Eclectic flavors, inspired by local and international cuisine, are served in an elegant setting where tradition meets modern comforts. The Limassol Old Port is the city’s main harbor, home to several fishing boats. Just a few steps from these boats is the Fish Market, where the aromas of the sea are transported to the table, with a varied menu of Mediterranean inspiration. 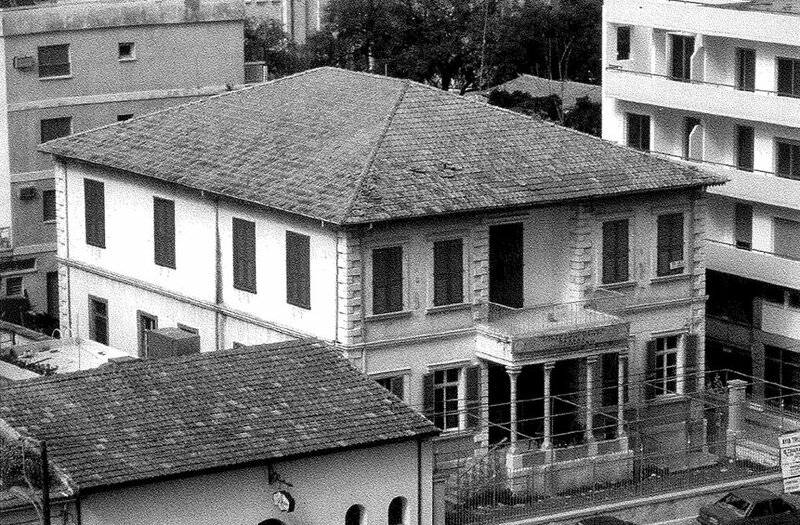 One of the most established destinations for fish and seafood in the historical center of Limassol, this restaurant enjoys a daily supply of fresh fish and seafood, all cooked with finesse and artistry. 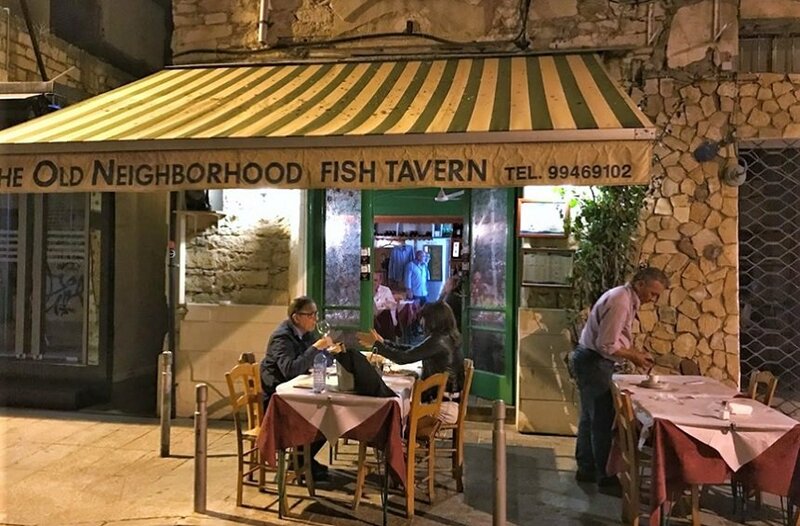 A well-known secret for lovers of fish, this tavern may be small but it is nothing short of miraculous. 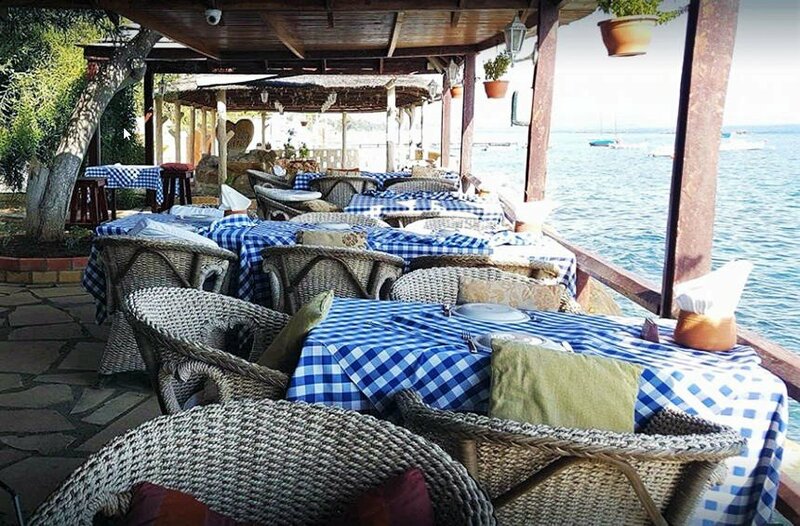 Just a few minutes from the Medieval Castle of Limassol, with flourishes reminiscent of the old neighborhood, it prepares fresh fish and seafood daily using recipes that are a testament to a love for the sea and the island’s traditional cuisine. 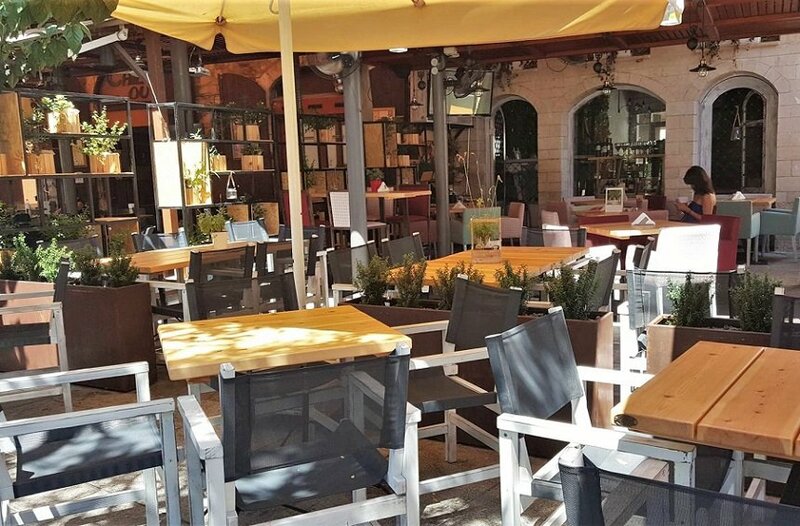 Located in the Medieval Castle Square in Limassol, this restaurant has shown equal love for fish and meat in its menu offering. As such, seafood lovers will find a large variety of dishes, both traditional and with a more modern flair. 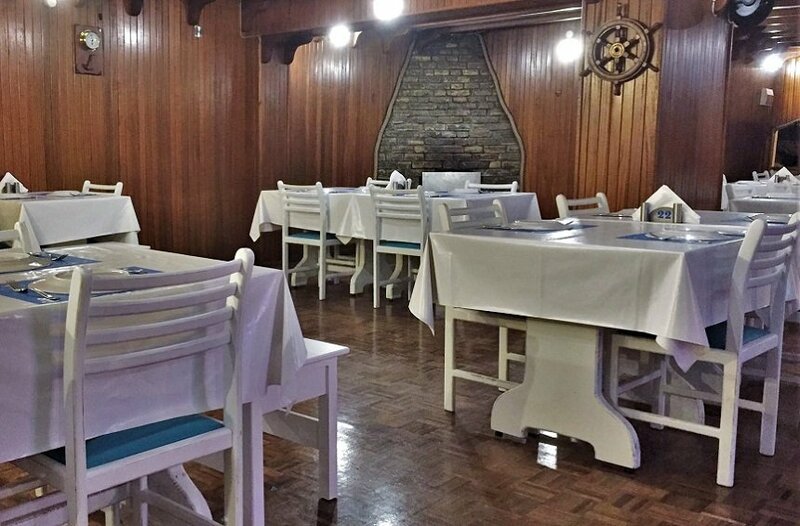 Situated in one of the city’s most central streets, Neo Phaliron is a restaurant with 40+ years of tradition, offering visitors choice fish and seafood options, which can be cooked to their preference. 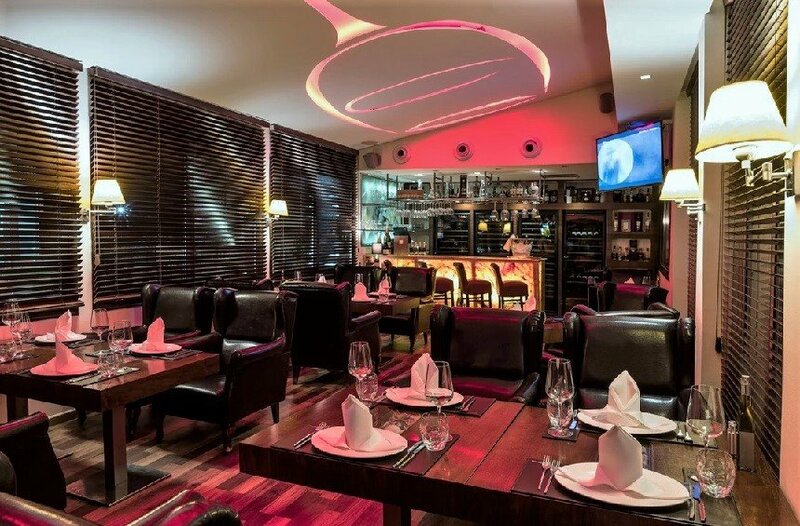 With a view of the Limassol seaside, this restaurant offers a wide range of fish and seafood, all ideally paired with fine wine. Its desert options are the ‘icing on the cake’ of an enjoyable meal, while those seeking variety will also find many options other than seafood to enjoy. 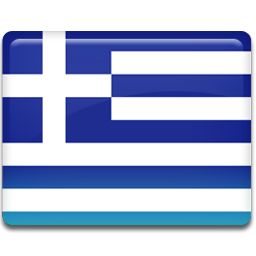 Located in Mesa Yitonia, this traditional fish tavern prepares meze meals from Greek and Cypriot cuisine with a focus on seafood dishes. The stone-built house creates an intimate and cozy atmosphere which further enhances the enjoyable experience. 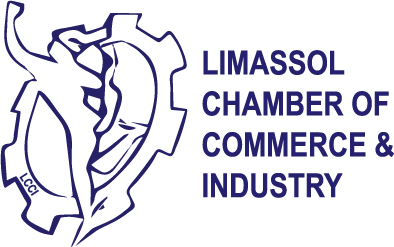 Address: 22, Georgiou Neophytou Str. 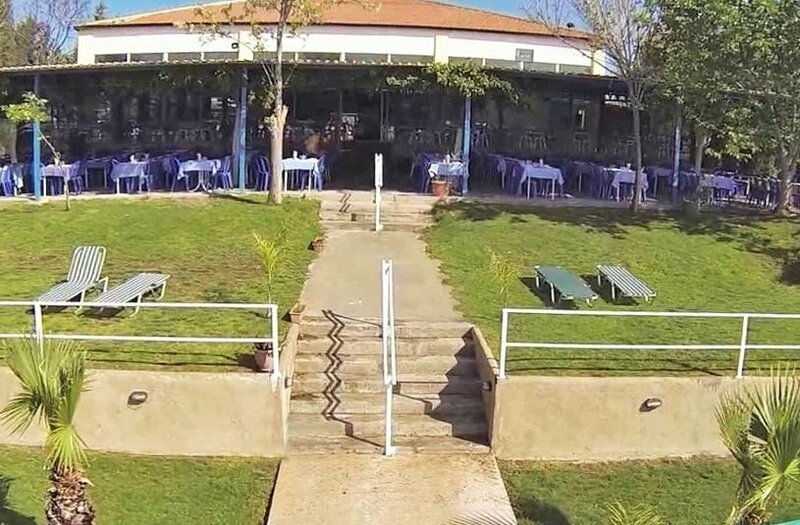 NOA (Famagusta Nautical Club) has been operating for many years on the coastal line of Limassol, offering good food and relaxation on one of the busiest beaches in the city, with excellent seafood and refreshing dishes. 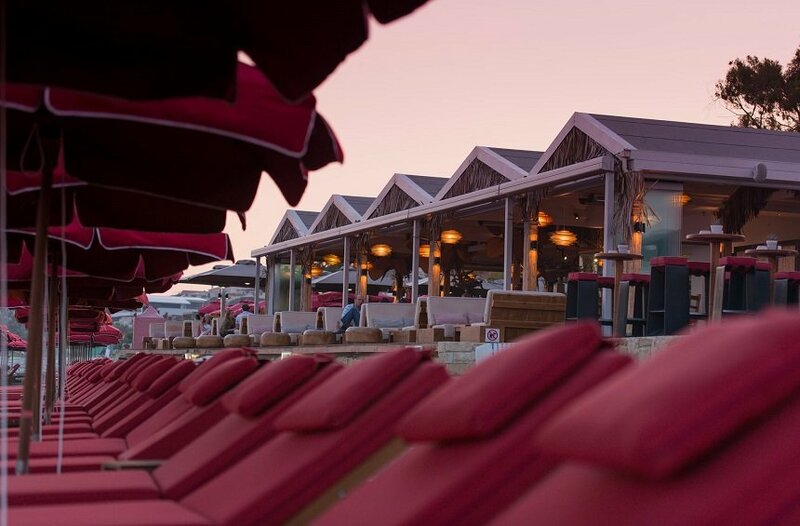 Following the philosophy of a bar & grill, Puesta Oyster has managed to create the idyllic setting of a lounge bar overlooking the Limassol sea, combined with delicious flavors of seafood, shellfish and fish. Whether you choose to visit for a drink or coffee, or a full meal for lunch or dinner, the diversity of the menu as well as the location are sure to impress. 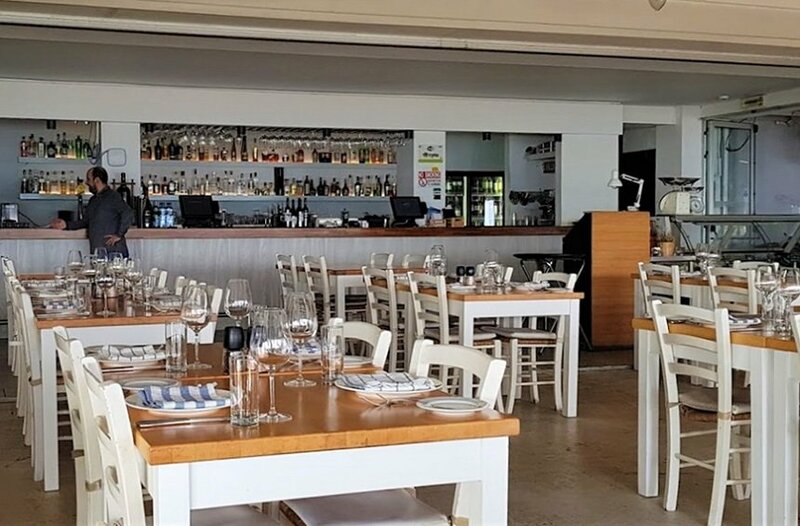 One of the most famous spots for gourmands who love fish and seafood in Limassol, this restaurant accompanies the flavors and aromas of the sea with a view of the infinite blue that surrounds Limassol. For many, the restaurant name has become synonymous with fresh fish, while its tradition has remained steadfast for some 50 years, and this is just one of the many reasons that make it worth trying. 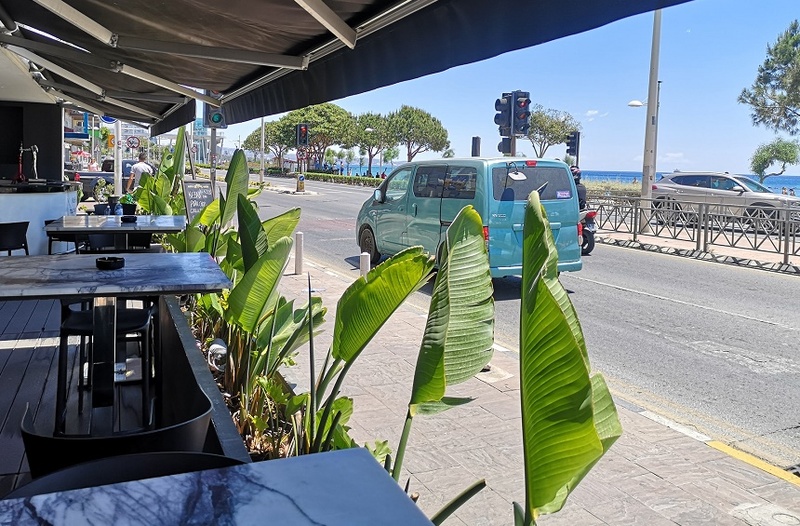 The Old Limassol fish tavern offers fresh fish literally on the seafront, as it is located on the Amathounta pedestrian walkway. Its short distance from the city and the serenity of the area make it an ideal option for lunch and dinner, as well as for hot or cold beverages from the bar. 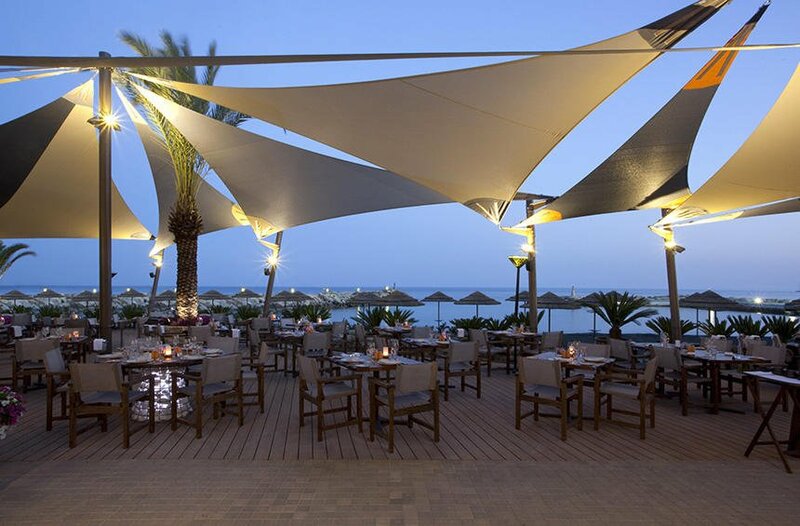 Recognized as the top restaurant for fish and seafood in Cyprus for more than 30 years, the Limanaki Fish Restaurant is located literally just a few steps from the sea at the Amathus Hotel. Its success is based on the fact that every fish on the menu is freshly caught on the same day. The restaurant operates from May until October. For seafood and sushi lovers, Ocean Basket offers a delicious menu, with combinations of various kinds of seafood in delicious platters, as well as special fish dishes. 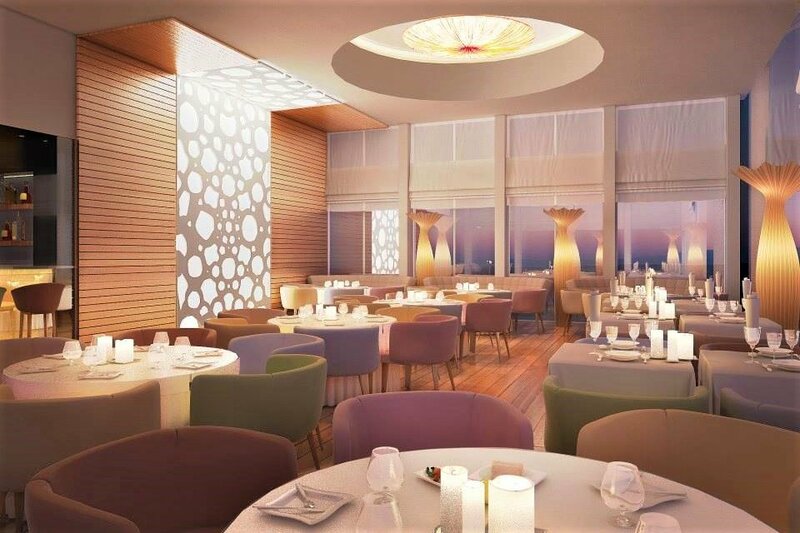 In the comfortable and idyllic environment of PlusSea, apart from the refreshing cocktails and the international cuisine options, there is also a wide selection of seafood and fish, for one to enjoy with a breath-taking view of the sea. 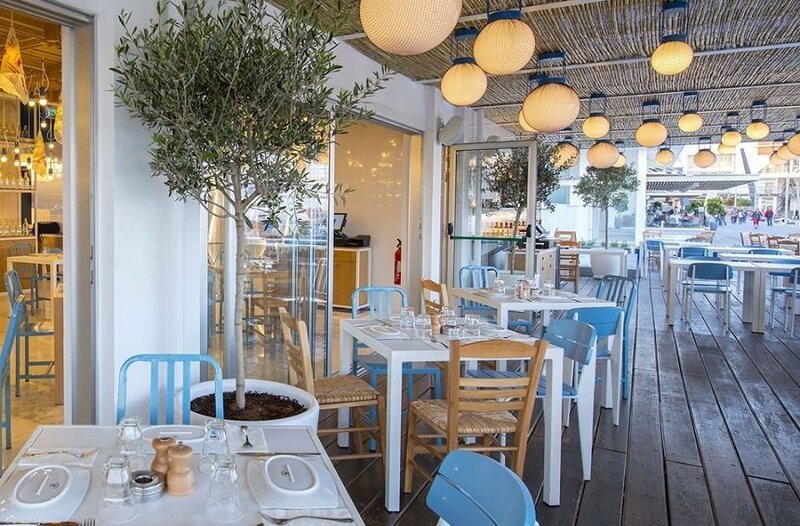 With a view of the Akti Olympion beach, this beachfront restaurant offers visitors a selection of full and meze dishes, in a modern, comfortable setting. Beyond its interesting flavor offerings, its short distance from the city center makes it an ultimately convenient option. Situated next to the GSO Athletic Center, this recently renovated restaurant offers a rich menu, with flavors from the Mediterranean and international cuisine, which includes interesting options for fish and seafood, as well as sushi. 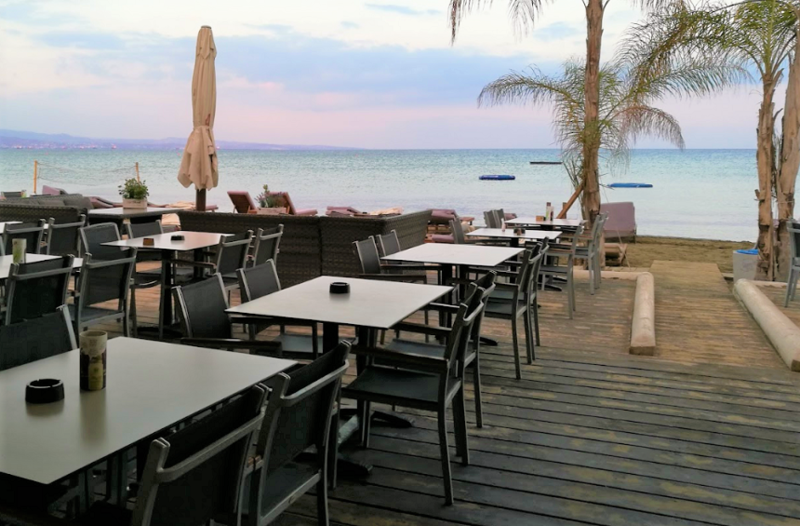 This tavern, located in Parekklisia village, is among the few dining options that focus exclusively on fresh fish and seafood, offering a large variety of recipes and combinations. 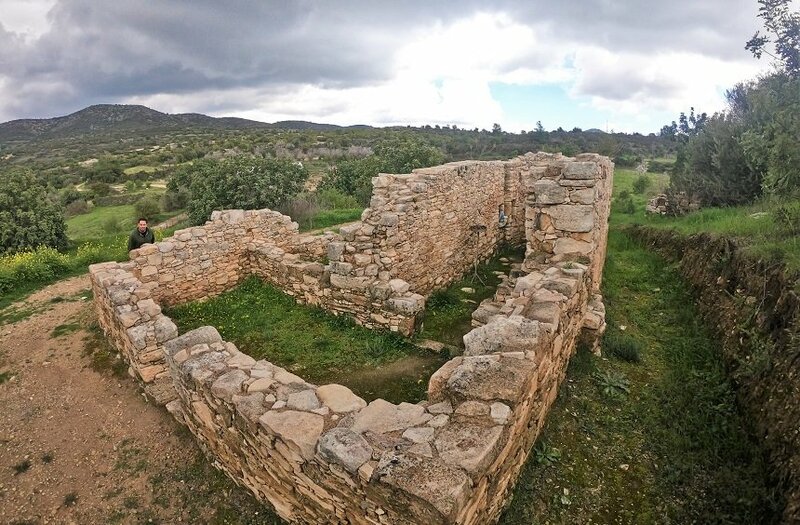 In this beautiful environment within a restored, stone-built building with a picturesque yard, you may enjoy fresh fish and even create a fish meze of your choice, selecting from the many options on the menu. Fresh mussels, crayfish, lobster pasta and saganaki are some the menu’s more popular options. With an offering of fresh fish and seafood right from the Mediterranean, and cooked in a variety of artful combinations, the fish tavern ”Treli Garida” (Crazy Shrimp) brings an island vibe to the heart of the historical center of Yermasoyia. Boasting a great deal of imagination, a love for good food and a good knowledge of Greek and Mediterranean cuisine, the chef has managed to create some true works of art with ingredients such as shrimp, ouzo, kadaifi and baklava pastry, octopus in vinegar, marinated sardines, crab and many more. The food here is offered in a relaxed setting by the sea, on the coast of Lady's Mile beach. From salads and snacks, to seafood and fish on grill, Captain's Cabin has everything you need for a happy day at the beach combined with some tasty seafood. More information about Captain’s Cabin here. 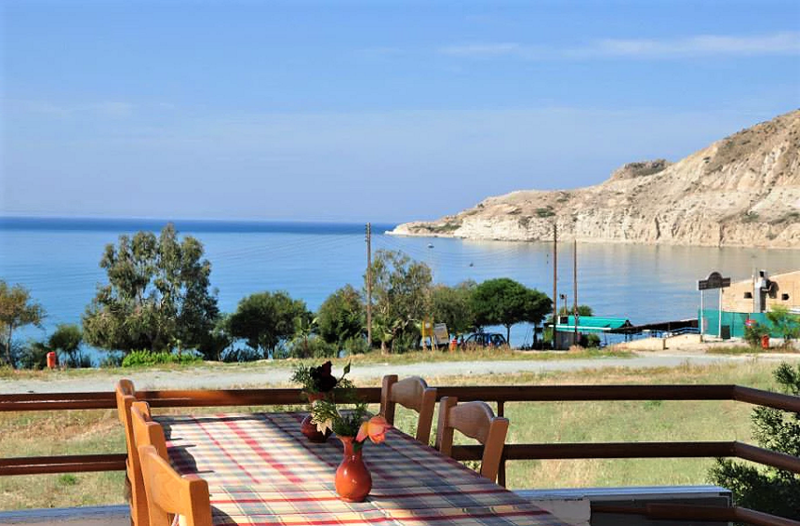 Glaros by the Sea is located on the beautiful Lady's Mile beach, and boasts a magnificent view of the Mediterranean Sea. 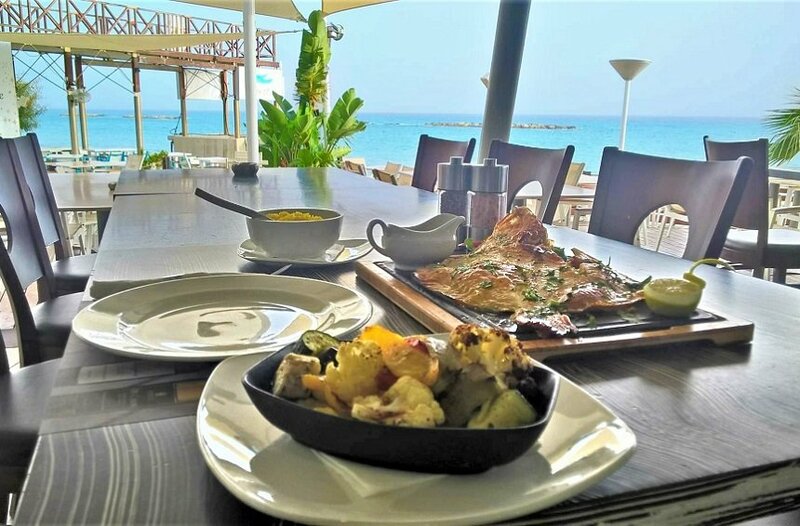 On its menu you can find Cypriot fish, fish meze and seafood platters, which you can enjoy right by the water. Delicious fish dishes and seafood are served in a magnificent setting that most certainly whets your appetite. Oasis fish restaurant at Lady's Mile beach will offers you an incredibly tasty culinary experience alongside sea, sand and sun.